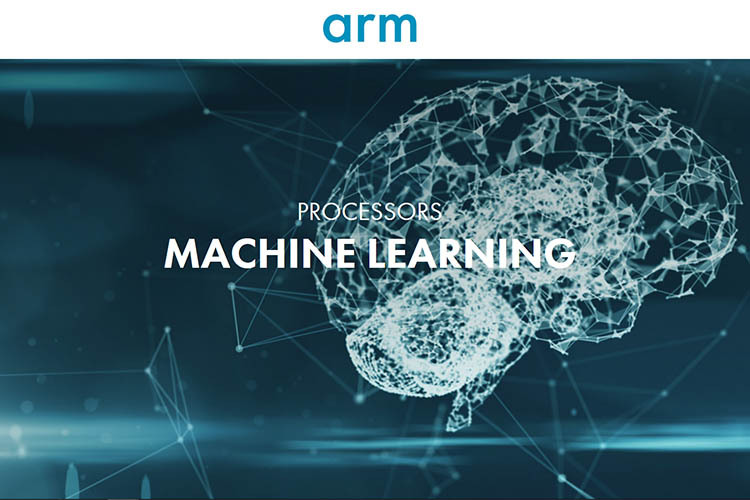 Arm Holdings is cashing in on the rise of artificial intelligence and machine learning with the launch of a new family of processors and software under the Project Trillium label. The company recently announced the new line of processors which feature three components: the Arm ML Processor, the Arm OD Processor, and the Arm NN software. 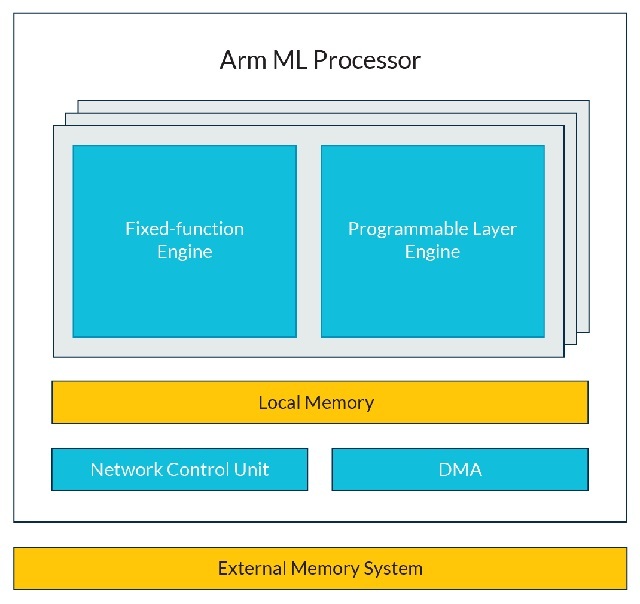 The Arm ML Processor, as the company points out, has been designed from the ground up for optimized machine learning acceleration for mobile devices and other similar markets. The processor is capable of delivering “industry-leading performance of 4.6 TOPs, with a stunning efficiency of 3 TOPs/W for mobile devices and smart IP cameras.” Additionally, the processor comes with programmable layer engines for future-proofing, tuned advance geometry implementations, and onboard memory for reduced external memory traffic. 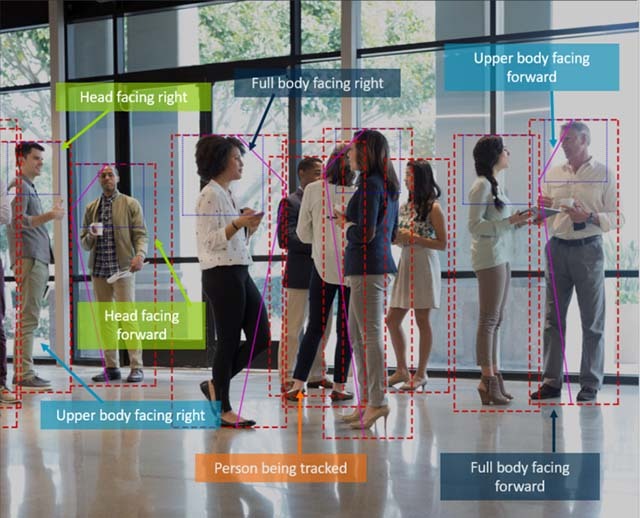 The Arm OD Processors, on the other hand, is designed to be the “most efficient way to detect people and objects on mobile and embedded platforms.” The processor is capable of scanning every frame and provides a list of detected objects along with their location within their scene. Arm claims that the processor can detect objects in real time running at 60fps in Full HD, object sizes can range from 50×60 pixels to full screen, and the processor can detect virtually unlimited objects per frame. In addition, the Arm OD Processor can be used in combination with CPUs, GPUs, or the Arm ML processor to provide more local processing which is expected to reduce overall compute requirement. 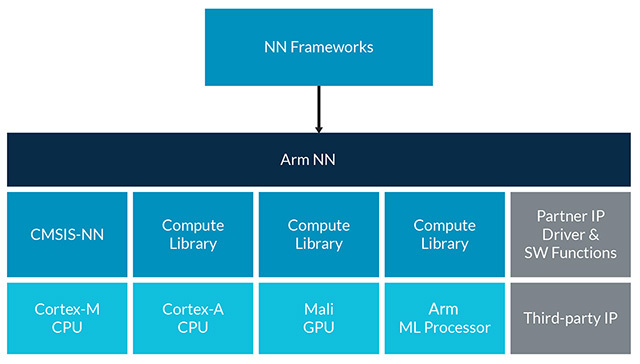 Finally, the Arm NN “enables efficient translation of existing neural network frameworks, allowing them to run efficiently – without modification – across Arm Cortex CPUs and Arm Mali GPUs.” The Arm NN software natively supports the Arm ML processor and leading neural network frameworks, including TensorFlow, Caffe, Android NNAPI, and MXNet. The company claims that the Arm NN bridges the gap between existing neural network frameworks and the underlying IP. The software will be free of charge and will be available under a permissive MIT open-source license soon.